World over, data sets of different types and varying volumes are exploding in a way never witnessed before. There is a staggering rise of disparate data collected from millions of connected devices and machine learning systems and is still growing unhindered. A plethora of businesses processes generate data that are random, don’t make sense, and lie idle to be unearthed. The proliferation of big data and the burgeoning IoT assets, in developing and developed regions, is a crucial aspect bolstering the evolution of data science platforms. As a result, these developments have thrown advanced analytics and predictive modeling to the realm of optimal decision making, where these data are uncovered for useful patterns and actionable insights. Data scientists, though, are engrossed in making sense of every bit and byte of these data, they usually work in silos using standalone tools and methods. This is a key constraint for organizations employing their expertise, which can’t grow for long, sans collaboration and reproducibility. To make things worse, it takes a mammoth of engineering and infrastructure resources to support data scientists. Hence, there is a pressing need for data science platforms that can churn out data models keeping in mind an application interface, which after the models are built can be integrated by the engineering team. These platforms not only make the work of data scientists easier in gleaning over the vast volumes of data to uncover relevant patterns but help them add value. The key function of a data science platform is to unite people, tools, data prep, machine learning, and assist in predictive model deployment. A good data science platform helps to find and understand past work to make it easier for data scientists. They aid in exploring data on large machines without the need for DevOps and infrastructure setup and facilitate seamless use of new tools and packages. To put it simply, they combine statistics, data analysis, and associated techniques to understand and gauge data. Entities these days are adopting data science platforms to crunch data from various sources. They enable businesses to uncover appropriate answers to different business-related queries by providing them with valuable insights. Further, they aid in sorting data for efficient network planning and network optimization through examination of historical data of transportation routes. The main driving force in the global market for data science platform is organizations’ need for processes facilitating simpler use of data to uncover actionable insights to grow their businesses. This is turn has been necessitated by the swift uptake of public cloud, artificial intelligence, Internet of things (IoT) applications, machine learning, etc. Further, progress in big data technologies and massive growth in data have also fostered growth in the market. On the other hand, factors that are countering the global market for data science platform are dearth of reliability on data science among enterprises and government rules and regulations. Very recently, in March 2017, global internet giant Google acquired data science platform Kaggle. Together, the two companies will nurture a thriving community of machine learning developers and data scientists, providing them direct access to sophisticated cloud machine learning environment. More than 800,000 users make up the Kaggle community that range from companies such as Facebook to entities like NASA. They use the platform to crowdsource data analysis through competitions. They dole out prize money to the user that generates the best data models. Depending upon business functions, the global market for data science can be classified into marketing, logistics, sales, risk, operations, customer support, and human resources. Of these, the logistics segment is predicted to acquire maximum market share in the upcoming years by expanding at a breakneck pace. End-use industries that are quickly adopting data science platforms are transportation and logistics, information and telecom, banking, financial services, and insurance, government and defense, healthcare and life sciences, energy and utilities, media and entertainment, manufacturing, retail and consumer goods, energy and utilities, etc. A data science platform can be installed either on-premise or on-demand. Among the two, the on-demand segment is forecasted to witness greater demand in the next couple of years because of the low cost of operation, ease of deployment, and improved scalability and integration. Geographically, North America is a key region as it is home to important market players and a copious number of organizations who have been at the forefront of adopting new technologies. In the years ahead, however, Asia Pacific is will likely overtake all other regions in terms of growth rate because of increasing Foreign Direct Investments (FDIs), policy support for greater digitalization, smart city initiatives of different governments, and swift pace of industrialization. The fast-expanding developing economies in China, India, Australia, and New Zealand are mainly driving the market in the region. 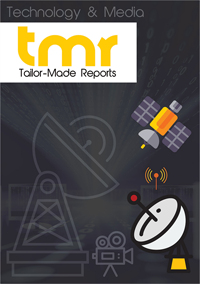 Prominent names competing in the global data science platform market, listed in the report are Domino Data Lab, IBM, Wolfram, Microsoft Corporation, DataRobot Inc., RapidMiner Inc., Sense Inc., Dataiku, Alteryx, Inc., and Continuum Analytics, Inc.